"Whiteboard Sam." 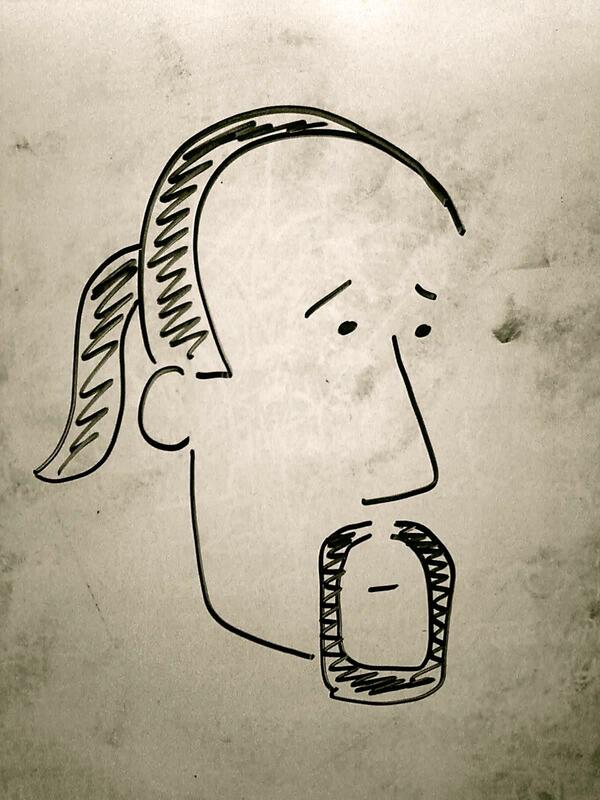 A caricature of me by writer and publisher Ryan W. Bradley. 15 February 2012. This will just run and run!